Utah has finally added hate crime protections based on sexual orientation and gender identity. 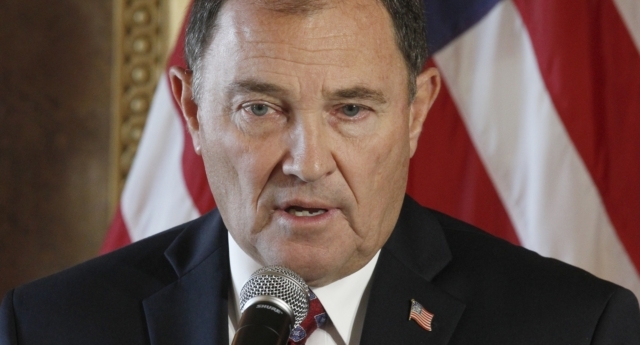 The Republican Governor of Utah, Gary Herbert, signed a bill on Tuesday (April 2) that expands state hate crime statute to add protections for LGBT+ people for the first time. The bill passed after decades of stalled progress in the state, which had been one of 15 with no state-level provisions for anti-LGBT hate crimes. However, the proposal passed after the Mormon Church, which dominates politics in the state, signalled that it would not resist the change. The group added: “This was an intersectional victory, with multiple ethnic, faith and community organisations coming together to denounce hate crimes in Utah. Their comments were echoed by state senator Derek Kitchen, a Democrat and the only openly gay member of the Utah legislature. According to AP, Kitchen said: “This bill comes at such an important time in our community. Everywhere we look we seem to be seeing more hate, more violence, more directed remarks. “The thing with hate crimes is there are two victims: the person that was harmed, and the community they represent. The bill’s Republican sponsor Lee Perry also spoke about a gay cousin who had been beaten for his sexuality. Governor Herbert said: “Everybody, every person, every individual in our society, is worthy of dignity, respect and love. A federal law signed by President Barack Obama in 2009, the Matthew Shepard and James Byrd Jr. Hate Crimes Prevention Act, allowed federal criminal prosecution of hate crimes motivated by the victim’s actual or perceived sexual orientation or gender identity.